Goths! On the Bus! 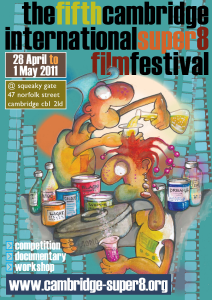 will screen at the 5th Cambridge Super 8 Film Festival (April 28 - May 1, 2011). It will screen alongside other super8 films from around in the World in the Competition 1 Program, which screens on Thursday April 28 @ 6pm and Saturday April 30 @ 2pm at the Squeaky Gate.